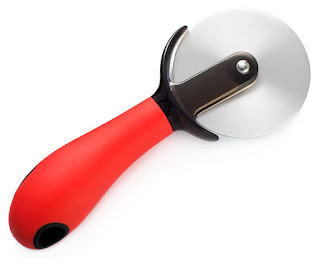 Whew, finally you discovered a pizza cutter wheel that isn't flimsy and feels superior to get the job done. Ergonomic Grip As soon as your Kitchen Monster Enterprise pizza cutter arrives, put it in your hands and know that the handle is nicely shaped for comfort and will actually cut straight. This world-class cutter comes sharp and ready to use. The well-crafted professional blade is heavy duty and built to last. It's a great multi-purpose tool because you can use it on herbs and dough too. We are confident you'll be happy and come back to choose another Kitchen Monster pizza cutter. 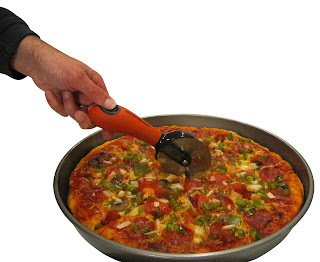 STAINLESS STEEL PIZZA WHEEL IS DISHWASHER SAFE - With A Finger Guard For Your Protection. Our Safer Grip Works Great To Cut Fresh Herbs, As A Dough And Cookie Cutter Or Pastry Cutter. FREE eBook of 212 Delicious Pizza Recipes Included With Your Purchase. CUTS CLEANLY - No More Cutting Your Pizza Pi Multiple Times. The Very Sharp And Superior Blade Glides Through Your Slices Every Time Leaving You With Perfect Slices Instead Of A Mess. SUPER COMFORTABLE GRIP - Our Perfect Shaped Ergonomic Style Handle Is One Of The Primary Reasons Our Industrial Pizza Cutter Is Chosen Over The Competition. It Feels Like A Natural Extension Of Your Hand. 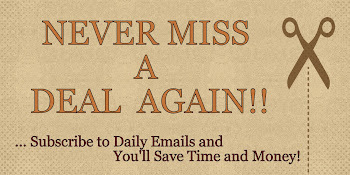 It Works Well For Those With Arthritis, Small Hands And Large Alike. BUILT TO LAST - It's Well-Crafted Construction Isn't Flimsy And Will Make This Your Favorite Pizza Pi Cutter For Years To Come. Best Of All Is It Just Simply Works. Saying my family is BIG on pizza is an understatement... Lol! I have two young boys and my husband works in a pizzeria so I was very happy to try out this Kitchen Monster pizza cutter. Right off the bat, I love how big the handle is. It has a great grip which made it very easy to hold and comfortable, which also made it easy to maneuver. The sharpness of the blade was good. It glided through the pizza and the crust easily. I also like that there was a finger guard between the handle and the blade for my protection. The guard is plastic, but it's a thick plastic. The only thing that worries me is that the blade seems a little loose and wobbly, but I have used it a few times now and it has worked good with no problems. Overall, it's a nice pizza cutter and I'm hoping it's going to last me awhile. If you would like to try these out for yourself, you can purchase this Kitchen Monster Pizza Cutter - Ergonomic Pizza Wheel - Non-Slip Grip Precise Blade right now from Amazon!